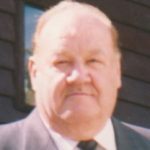 Frank I. Rusin, 90, of Carbondale died Thursday, December 20, 2018 at Wayne Woodlands Manor, Waymart. His wife the former Nancy Stancavage, died in 1992. Born in Whites Crossing, he was the son of the late Jacob and JoAnn Harenza Rusin. He attended school in Whites Crossing and graduated from Roosevelt High School, Carbondale. He was an Army veteran serving with the military police. Frank was employed for over 30 years as a bank teller throughout Forest City, Simpson, Carbondale, Mayfield and Archbald areas. He was a member of St. Michael’s Roman Catholic Church where he served as church organist for 64 years. As a hobby, he enjoyed carpentry work. Frank is survived by his four children, Francis, Melanie, Damian and Delphine, six grandchildren and two great grandchildren. He was preceded in death by five brothers; James, John, Edward, Benjamin and Rev. Joseph Rusin and three sisters; Antoinette Milesko, Mary Unis and Amelia Libby. Friends and family may call on Friday, December 28th, from 3 to 7 at the Joseph W Scotchlas Funeral Home, Inc., 621 Main Street in Simpson. Mass of Christian Burial will be held on Saturday at 9:30AM in St. Michael’s Church, 46 Midland Street, Simpson. Mass will be celebrated by Rev. 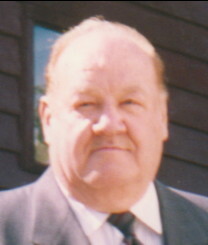 Joseph S. Sitko. Interment will be in the parish cemetery.